CornucAupia Gold Leaf Manufacturing, Inc. - CornucAupia Gold Leaf Manufacturing, Inc. Create a memorable dining experience with "DeiAurum". Enjoy a beautiful renaissance in art and function with "Auratura". Feel true luxury on your skin, and in your favorite cosmetics with "CleAurum". Gold and Silver leaf needs for biotech and pharmaceuticals fulfilled with "ProAuro". Throughout history, gold has been worshiped for its brightness, and its flexibility in creating the world’s greatest art. We are proud to bring you that very same ingredient as a safe, edible garnish that can be used in almost anything. It’s wide range of use allows you to adopt it to any cooking, cocktail theme, or style. We bring a cause for attention to your products by helping you provide a memorable dining experience that will leave everyone craving to brag about it. With a simple ingredient, you can create the distinctive look you’ve been searching for. DeiAurum, our line of edible gold and silver leaf can be used in any food or beverage. From extravagantly presenting a complete menu, to decorating lavish beverages and dessert displays, we have the most stunning garnish for you to use in crafting a tastefully luxurious and unforgettable experience. 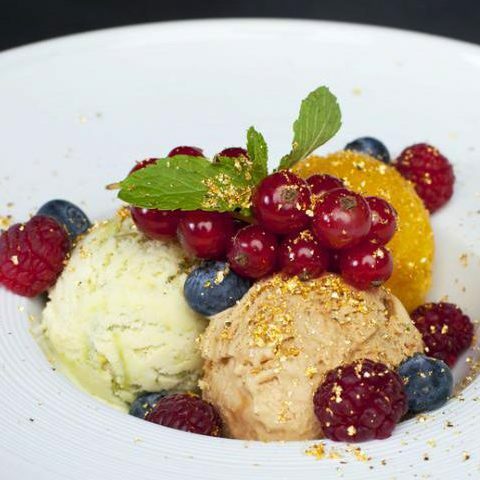 DeiAurum is our complete line of 24K edible gold leaf, and pure edible silver leaf. It comes in a variety of shapes and sizes, including sheets, flakes, crumbs, and powders, available in shakers or booklets for maximum flexibility. We provide a premium quality product that uses only 24K gold, and the purest available silver (99.997%) to create our products following a traditional crafting methods while utilizing modern techniques to ensure our product has the highest quality and satisfaction. Achieve the mastery of classical form in a luxurious, and elegantly modern fashion within all styles of art. Apply the aesthetic of the Renaissance, and elegent classical art to your creations. Reawaken the classical artist within you using Auratura, our line of gold leaf and silver leaf gilding products. 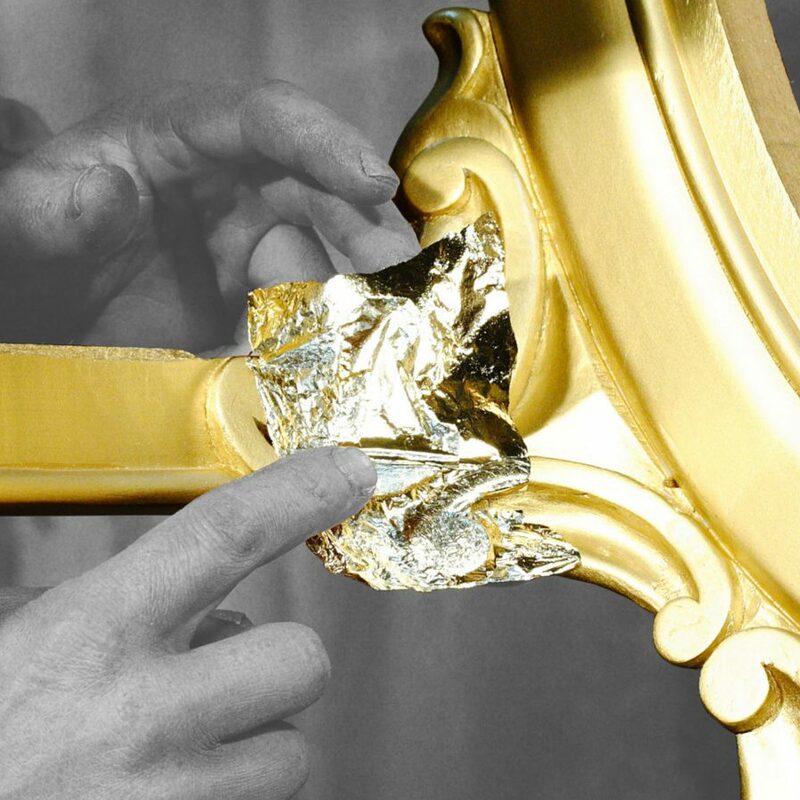 We offer a complete line of products to fit the needs of gilding, restoration, furniture, tiles and tiling, portraiture, architecture, frames, ceramics, pottery, leather work, book binding, interior decoration, and many other artistic and design works. Customization of karat, purity, and alloy composition for a variety of colors and shades is also available to better match your needs. Contact us and we will work with you to create a custom tailored product that will be perfect for your project. CornucAupia Gold Leaf Manufacturing, Inc. is a member of The Society of Gilders, as well as other organizations you can learn about here. Harneses a rich history of beauty and luxury to drive your product to the top. 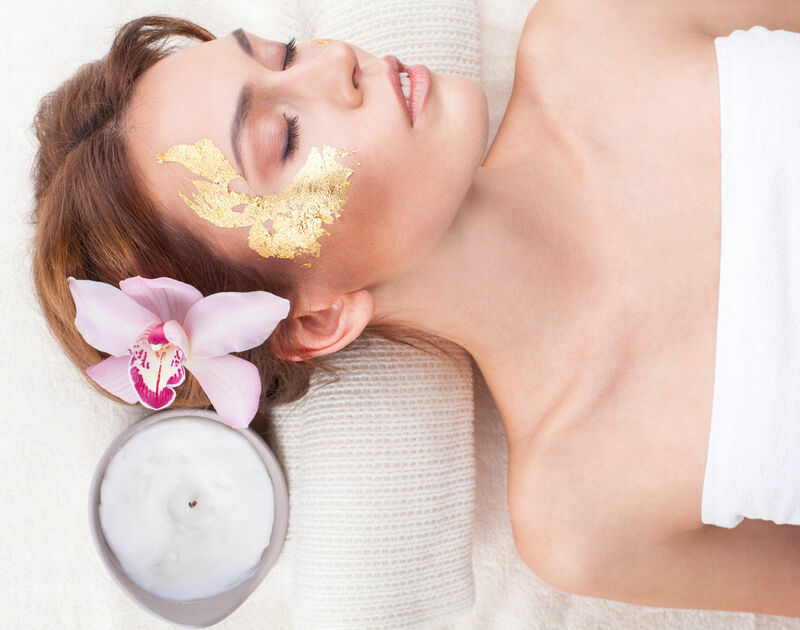 Gold has been used in cosmetics, skin care, and holistic healing throughout history, and that wealth of background is yours to adopt today. With gold’s resistance to the effects of age and time, healing properties, its natural resonant frequency, as well as its symbol of excellence and eternity makes it the perfect ingredient in skin care and cosmetic products. This is why we are pleased to offer our line of CleAurum products. Our gold leaf products can be safely added to any cream, soap, wash, or powder without any change, alteration, or chemical reaction taking place, allowing for immense flexibility in use cases. 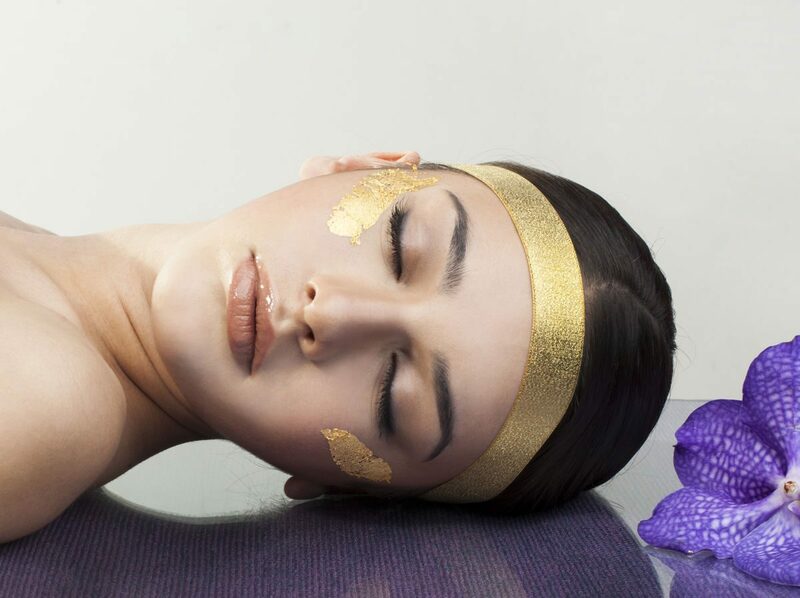 Gold leaf becomes incredibly fine, to the degree of disappearing once it is massaged or lathered on the skin, leaving behind only a gentle glisten. For your biotechnology and pharmaceutical needs, CornucAupia can provide you with specially tailored gold and silver leaf products in a variety of sizes and purities to fit most needs. Contact us for more information.